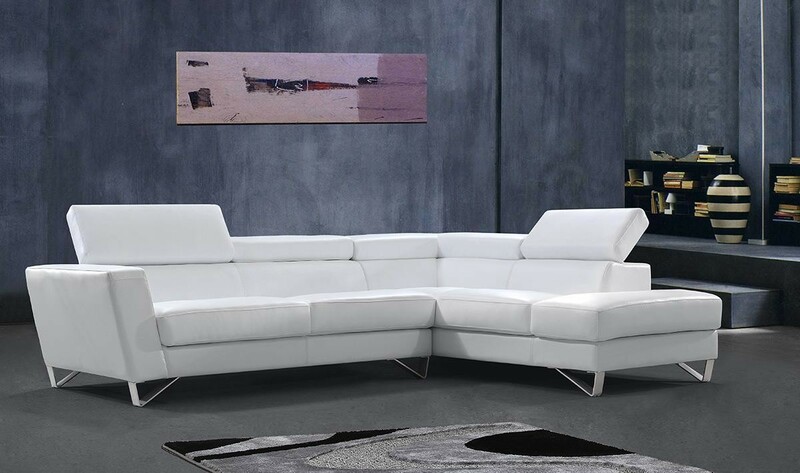 3 Seater: W78" x D39" x H28/36"
Chaise: W38" x D81" x H28/36"
Add Waltz sectional sofa to your living room and take advantage of comfort, durability and minimalist contemporary style. 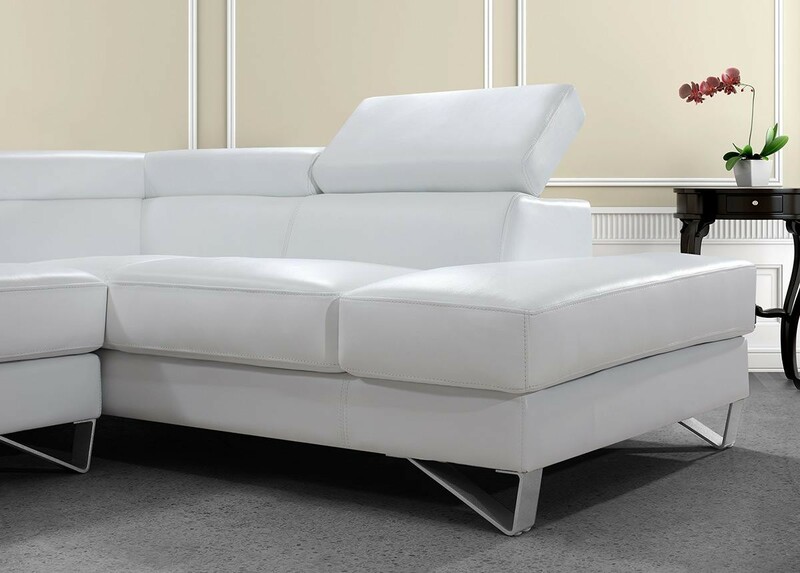 Two piece sofa chase sectional upholstered in white Italian leather will serve for many years in your home even with everyday use. 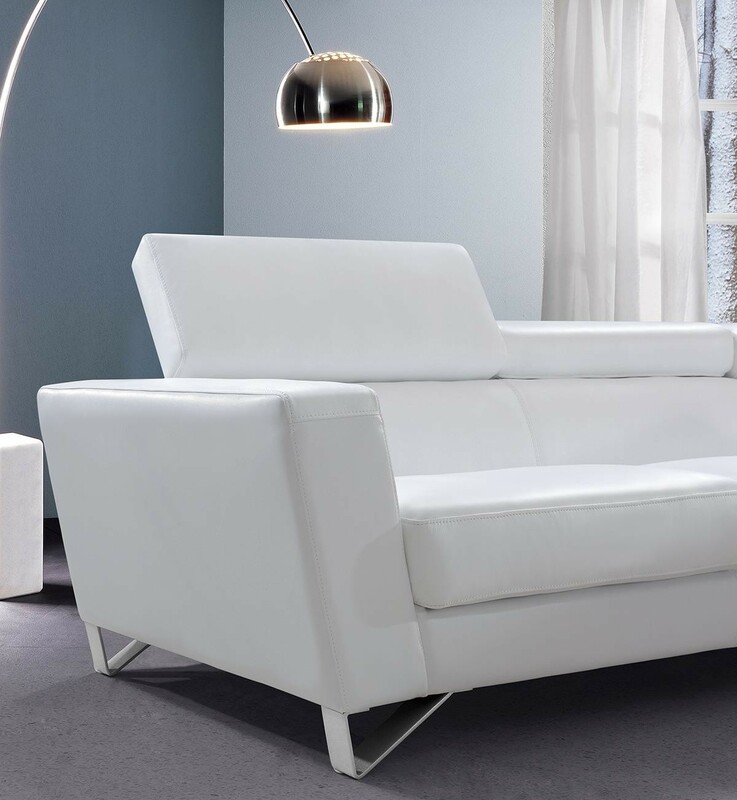 Comfortable large seats are completed by five adjustable headrests that can be changed to different positions to find your perfect comfort level. 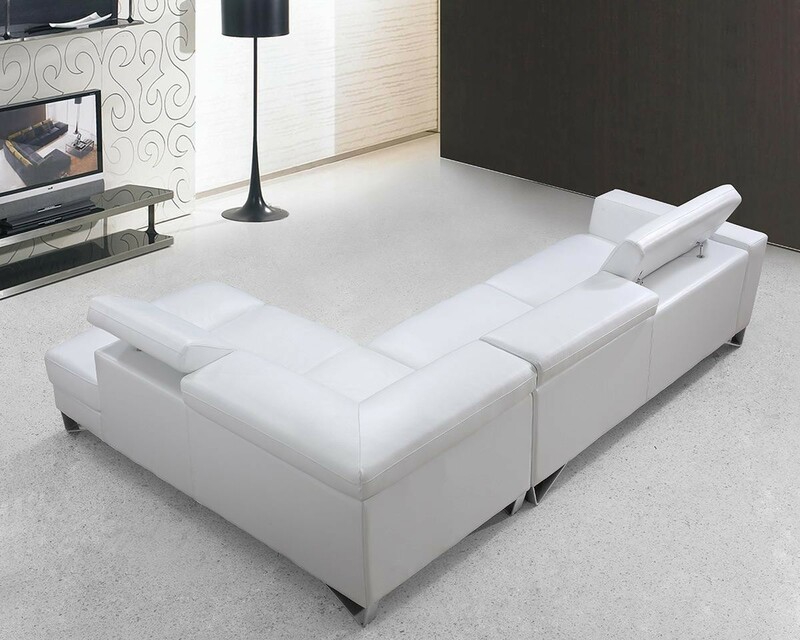 Triangular stainless steel legs at the bottom that match perfectly with white leather and take this contemporary style to the next level.